Keep your children busy with fun and educational (yet easy to do at home) Christmas themed activities. This ebook includes step by step instructions for 20 Simple and FUN learning activities. 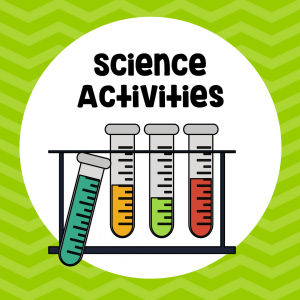 Each of the activities focuses on teaching science, technology, engineering, art, and math principles to young children this holiday season. 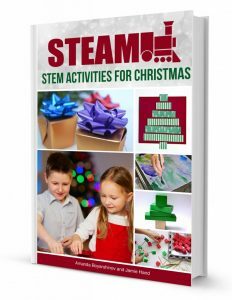 STEAM: STEM Activities for Christmas E-book is packed with hands-on science, technology, engineering, art, and mathematics activities to help keep your children engaged. This book is great for parents, teachers, and caregivers of preschool children ages 3-5 years old. 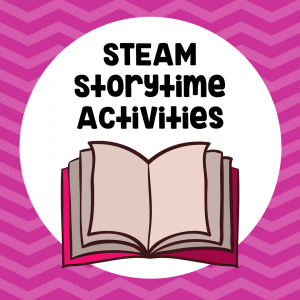 The STEAM activities are easy to prepare and implement. Most supplies are found in most pantries and art closets. Each activity description includes learning objectives, activity extensions, and teacher notes. The wide variety of activities presented are crafted to appeal to a range of ages, interests, and abilities.